Car Mirror and Car Window Repair Specialist in Longwood, FL - EURO Specialists, Inc. If you own a car, you know how much people really depend on their vehicles. Purchasing a car is an investment and leads to a better quality of life. You take pride in your vehicles, and you will want to take care of it to the best of your ability. Keeping the major components and even the smallest of details looking perfect and functioning is of the utmost importance. Over time, wear and tear does occur. When your windows or mirrors give you trouble, not to worry, EURO Specialists is ready to have their master certified technicians perform car and mirror and car window repair. What Is Entailed In A Mirror And Window Repair? When you notice that your beloved vehicle needs some repairs, do not hesitate to call us! Make sure you take care of the issue right away to ensure a safe driving experience and to lower the risk of other damages to your car. Depending on what the problem is, it can influence the way other parts of your car work. In order to ensure everything is functioning properly and that you are within safe driving conditions, have your windows and mirrors repaired at EURO Specialists, Inc. who can determine exactly what needs to be done and provide you with an estimate. If you need your side mirror replaced, a window repair can vary greatly in price depending on the model of your vehicle. It all depends on your car and the type of material used for the glass. it is best to head to our repair shop and receive an accurate quote form one of our Master Certified technicians. It is important that when your car needs repairs, you see a certified technician because they will be able to help determine what the root of the issue is and provide you with an accurate estimate of how much the repair will cost. Our highly trained technicians can answer any questions you have, and you can feel confident that the job will be done efficiently and correctly. Don't trust your vehicle with anyone else; after all you do want to protect your investment, and at EURO Specialists, Inc. we understand how important your car is to you which is why we always handle repairs with care. Our clients know that we deliver only the highest quality of service and are honest with our customers. To find out more about the services we offer, call us today at 407-678-1505 or visit our website! Euro-specialists.com. 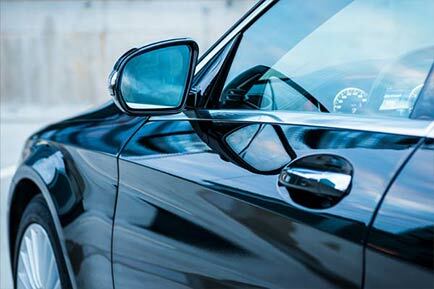 We look forward to helping your car with our mirror and car window repair service.